Storage is always a problem regardless of the size of your home or bedroom, but there is no better way to be organised then by ensuring that all your essentials are perfectly housed in your home without it looking untidy and cluttered. 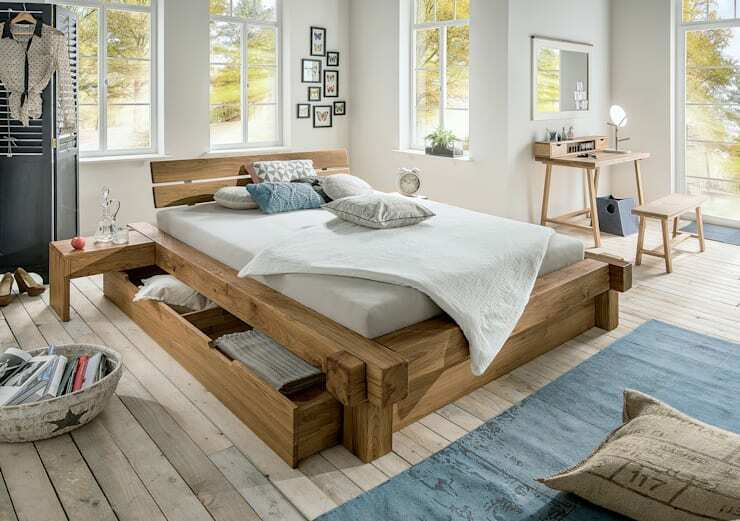 In this Ideabook, we will concentrate on super smart storage ideas for your bedroom, it may need some out of the box thinking, but your bedroom will be unbelievably elegant and attractive too. Whether it means creating extra storage beneath your bed or utilising closets more effectively, homify has an idea for you! We will never grow tired of sharing this amazing construction with you—so beautiful, so perfect, so smart. In this image we see a bedroom that is small in size, but even though this room lacks space, the bed is perfectly fitted into the design, allowing for extra storage of essentials beneath the bed. This is a neat and tidy way to ensure that the room remains comfortable and uncluttered. This is definitely a décor inspiration to consider for your home. So adding a closet may be a costly affair, why not opt for a vintage style curtain to separate your bedroom from your clothing storage space, this creates a funky dressing room style that is extravagant and chic. Complete the look with brilliant lighting and neutral decor. This idea may require a bit more help from a professional carpenter, but draws beneath a bed is a great way to store those winter bed linens and extra cushions during the warm season. It also ensures that your bedroom is neat and tidy at any time of the day or night. 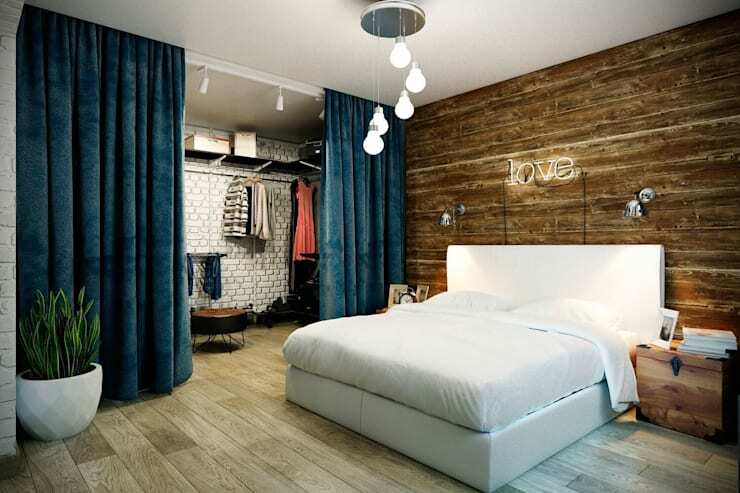 This neutral colour wood has is attractive and can be combined with almost any bedroom decor. 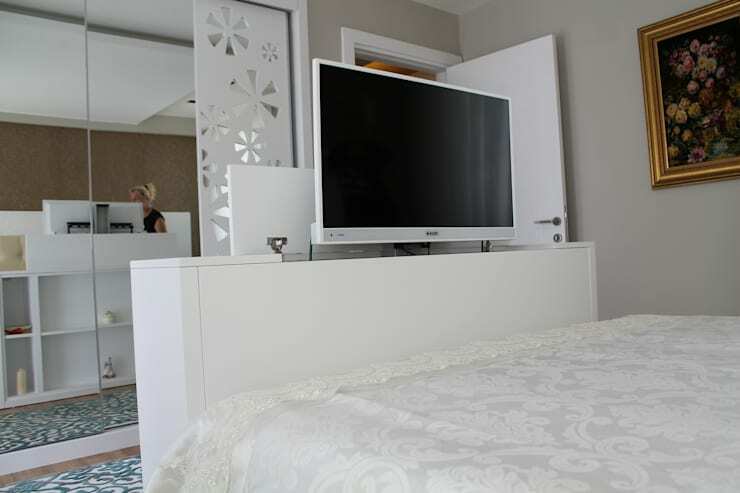 If you would like to incorporate a TV into your bedroom design but in a subtle way, then why not consider a storage space such as this for your TV? It’s the perfect way to snuggle up in bed on those warm winter days with a good movie or your favourite TV series, while not having the world able to see your secret TV. Technological advancements such as these are a must have for the homify team. 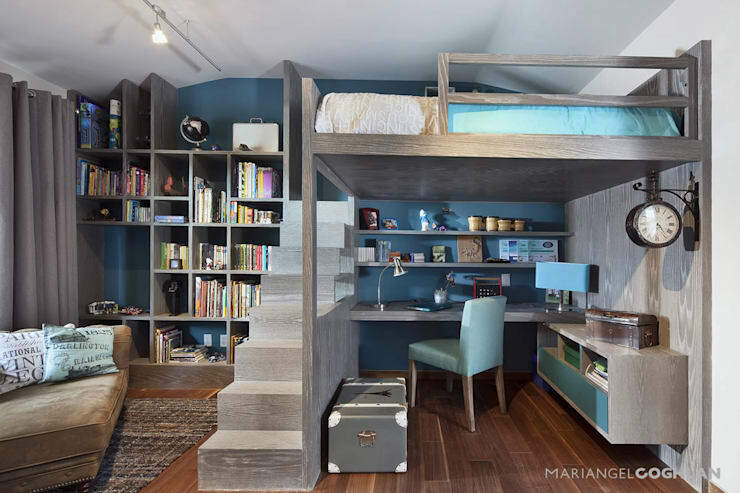 This bedroom idea is a great idea for a teenager, there is space to sleep and even a dynamic study corner located under the bed. It’s daring and different, but the colour scheme and design make it a popular decorative choice that is unique and unusual. The simple colour scheme and perfect placement of everything from the desk to the library makes this décor a winning idea. 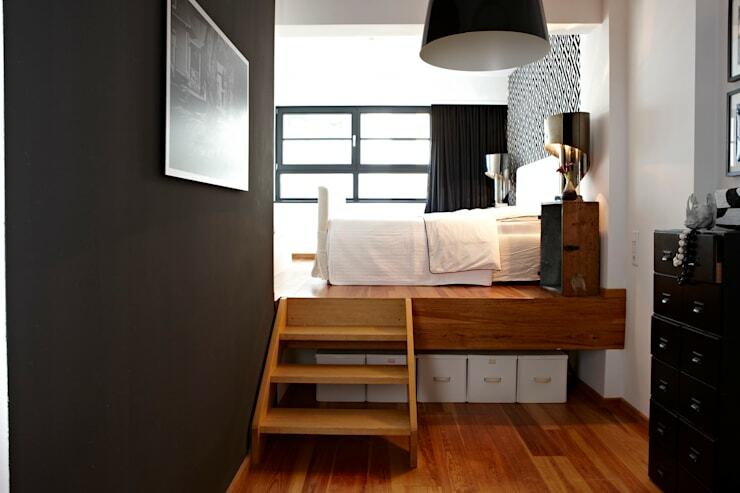 The bed and bedroom showcased in this image is another example of how vertical heights can be used to accentuate usable space. 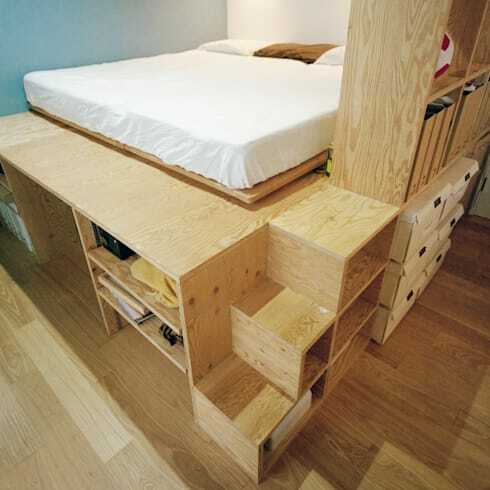 The multiple wooden cubes work as both storage space and steps to get into bed. It’s a fantastic yet functional idea that is easy to recreate in your own bedroom. 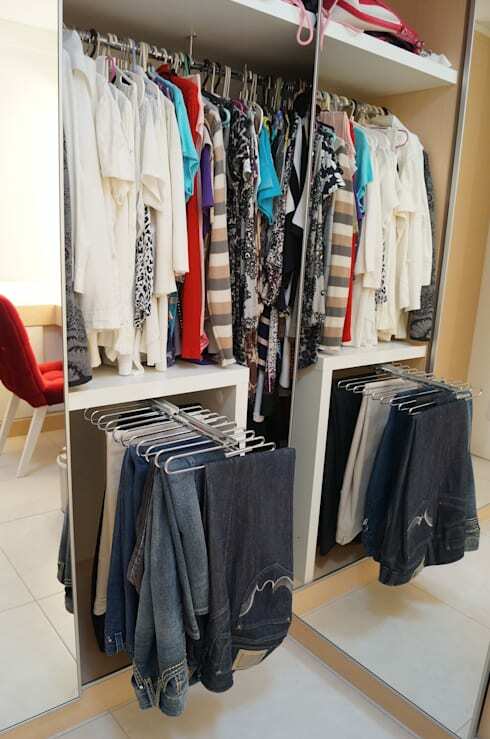 And finally, we have a look at how best to utilise your closet space for storage. There are so many new and exciting hangers and smart storage ideas for any items of clothing that decorating and designing your closet can be practical. By adding hangers such as this for your trousers, jeans and pants you will have more storage for your other essential clothing items. No more having to look for your favourite jeans, it’s perfectly organised and on display. Here are 14 Smart Closets for Small Homes. Which is your favourite bedroom storage idea?